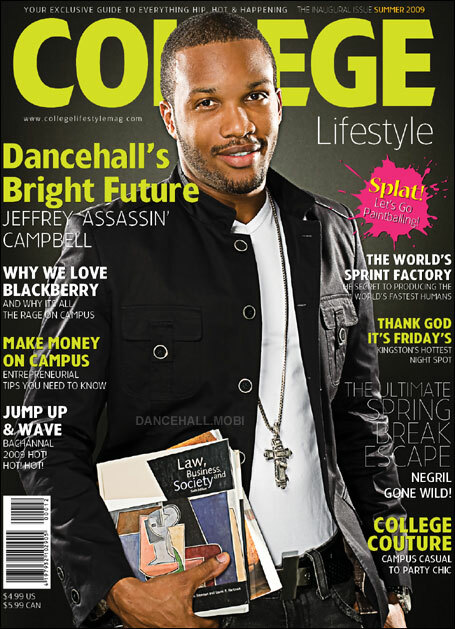 ﻿The main image on this magazine cover is of a coloured man standing leaning slightly to the left this shows that the college is multi-cultural, he is looking directly at the audience smiling which gives a sense of happiness, he is also holding some books about law and society which gives the cover a sense of sophistication. He looks quite confident in his own clothes and standing comfortably, and he looks in his late teens or early 20's which makes the audience feel connected with him. His head covers part of the masthead which shows the creator of the magazine is confident that the audience will be able to read the masthead which gives the cover a laid back feel which some of the audience may be able to connect with. The masthead automatically catches the audiences eye as it is quite big and brightly coloured. It is very straight forward and tells you straight away what the magazine is about which could be a positive thing as the audience this magazine is aimed at teenagers and people in college and they might want to read lots of information and want it quick and easy to understand. This masthead is in big block letters that are easy to understand and read. The colour of the masthead links in with some of the colours of other writing, which adds to the colour scheme of the cover. The colour scheme on this cover is quite dark and then has bright striking colours such as white and bright green against a dark background, there is also a bit of bright pink in an information bubble. The choices of colour go together well and catches the audiences eye at the same time. The colour of the masthead and some of the information is very bright and stands out on a dark background. Also the masthead ans some of the sell lines are the same colour which may suggest that some of the sell lines and the masthead are of the same importance although the masthead is bigger which shows that it is more important. The colour of the man's clothes match in with the colour scheme as he is wearing white and black and therefore fits in well but doesn't really stand out against the background although the books he is holding have bright colours on which catches the audiences eye, they also stand out against the dark colour of his jacket. There is a slogan that says 'lifestyle' under the masthead in white writing which stands out agaisnt ther dark background. The size of the slogan is fairly big but isn't in bold writing so doesn't stand out as much. By putting the slogan at the the end of the masthead it draws the audiences eye onto it, and it also gives a hint about what the magazine is about. There is also a skyline at the top of the page which is in very small writing and is in white and a bit of yellow. It isn't very clear what it says and isn't in blod writing so doesn't really catch the audiences eye. There's a few sell lines on either side of the page that are a range of white and green. The sell lines are a bit mixed matched as there are lots of different sizes of font and different boldness and thickness and there are also a few similar fonts but this adds to the interest of the cover. The sell lines aren't really formal or detailed which may suggest that this magazine is aimed at people who want quick stright to the point information and also students that aren't really sophisticated. The reader is directed to by the the man making eye contact with the audience which adds intimacy. Also the reader is directed to when the word 'we' is used which also adds intimacy to the cover. The layout of this cover is quite simple but organised and fairly orderly and effective as the main image is in the centre of the page with the mathead above it and the sell lines on eith sider of the page and the barcode in the bottom left corner and also a skyline at the top of the page and a slogan under the masthead which makes this cover easy and quick to undersatand which may attract the target audience. Also on this cover there is a brightly coloured puff buuble which exclaims about other content this also shouts out to the audience and adds something different to the cover.